This device carries replacement warranty upto 1 month from the date of sale for any manufacturing defect. UniGPS provides multi function Kids Smart Watch. 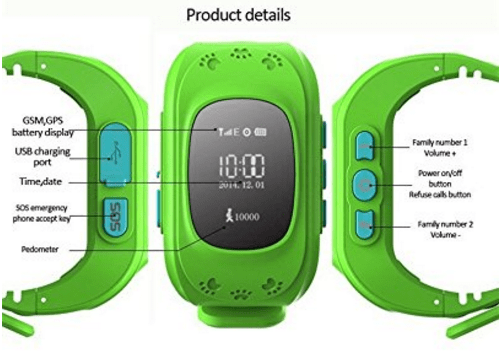 This works seamlessly on Airtel,Idea and Vodaphone 2g package,supports GSM micro SIM Card, Two-way calls, SOS emergency call，GPS Tracker, Pedometer, Alarm Warning when taken off. This is the best smart wristwatch for kids’ safety.